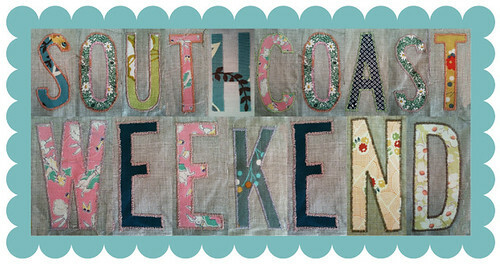 South Coast Weekend!, originally uploaded by Feeling Fuzzy?. 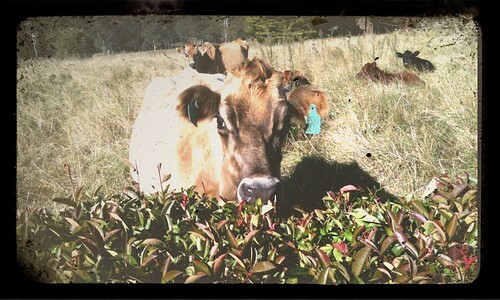 A weekend away with friends to the lovely South Coast of NSW. Bliss! Weekend in Bundanoon, a set on Flickr. A weekend spent with my mum pottering around the house, crisp morning walks and catching up with old & new friends. 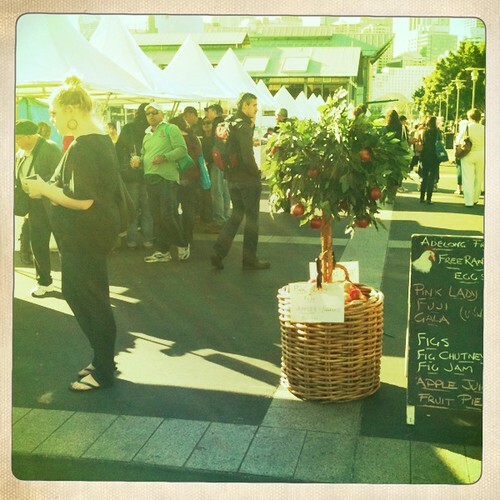 An early morning Saturday morning at Pyrmont's Growers' Markets. Armed with coffee from Single Origin, we braved the crowds to taste and gather deliciously fresh ingredients! 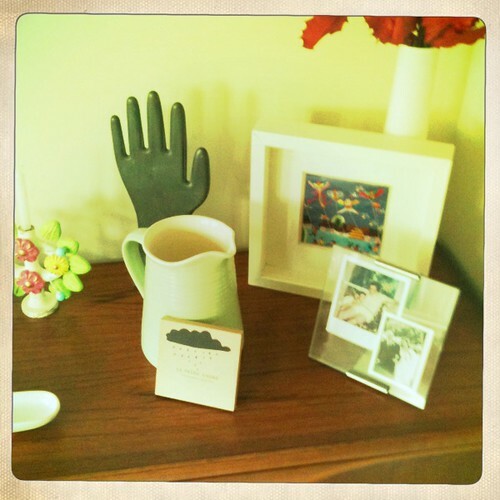 Along with the blog's spring clean, our house was given a major spit and polish over the weekend. My favourite part was re-setting the top of the credenza. The still life includes: an old glove mould found on Etsy, an embroidered picture brought back from China by a work friend, old photos, a little artwork by Amber and Me, given by Yumi. Can you see the half eaten Lindt bunny left over from Easter? He is nibbled away at each day! Scone, NSW, a set on Flickr. Both our meeting & wedding anniversary fell on the same weekend this year... NP and I met on the Thursday night of the Easter weekend, and we were married on the Anzac Day weekend. Anniversary Pie, originally uploaded by Feeling Fuzzy?. 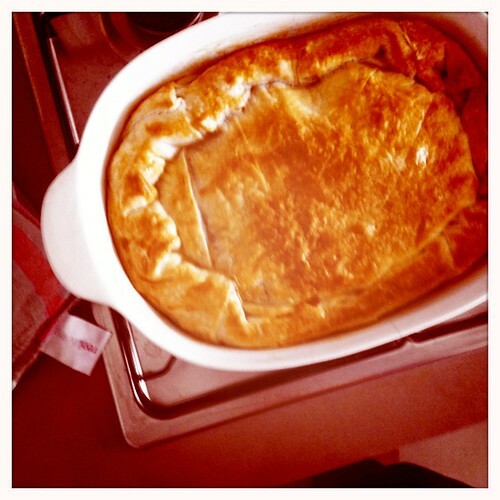 Celebrating 3 years of marriage with a home made Steak and Guinness Pie! Sunday morning Walks, originally uploaded by Feeling Fuzzy?. 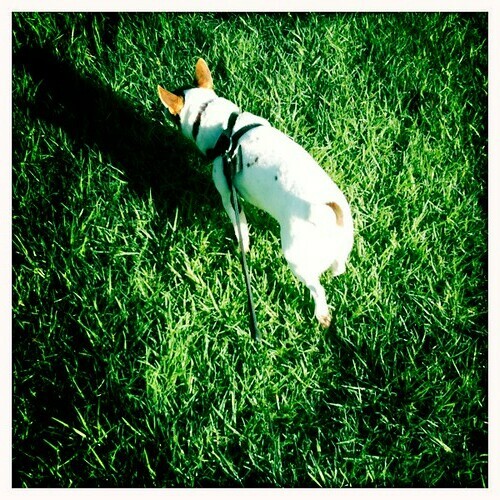 After all this week's rain, Wilton was knee deep in watery grass - a lovely green ocean for doggie paddling!